The Jeep Grand Cherokee has had an interesting life. For years it was the vehicle of choice for everybody. The SUV craze to me was basically kicked off by the Grand Cherokee and it really seemed to set the standard in the early 90s. Rumor has it, the Grand was actually supposed to replace the original Cherokee back in the late 90s, but the XJ didn't get killed off until 2001. 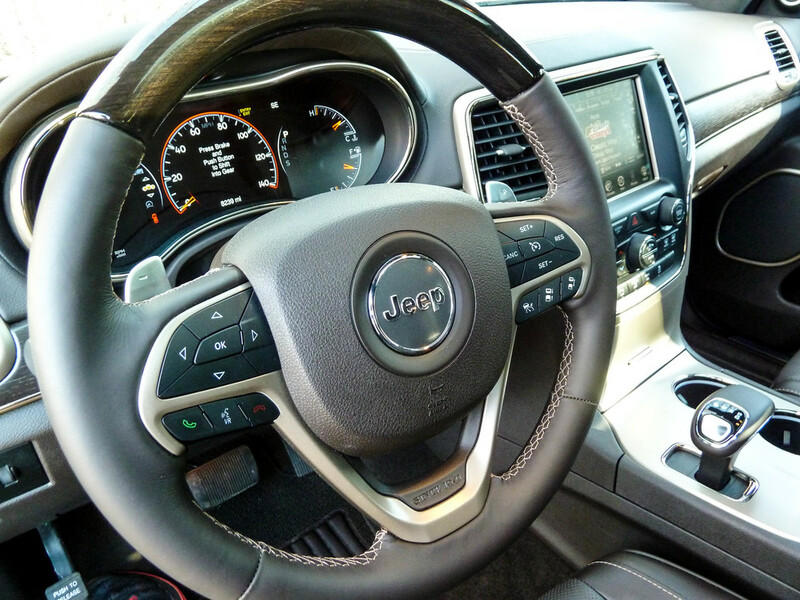 Over the years though, we have seen four generations of the Grand Cherokee. Changes and restyling have occurred with each passing model. For awhile there, it felt like Jeep/Chrysler were going to be put to the curb when the crisis hit the auto industry. Currently though, Jeep is back and better than ever. Quality and styling seem to be their main goal and with this 2014 Grand Cherokee, I will simply say my mind was blown. The current generation WK2 Grand Cherokee arrived in 2010. The skeptics were silenced and we were all treated to a non-plasticy upscale winner. Well for 2014, a refresh was in order which brought many improvements. The model we were able to experience is the 2014 Summit Edition. If you are a box checker, this is what would arrive on the truck at your local dealership. The only model higher up the food chain is the SRT, which is reserved for the ultra-high performance street driving only crowd. Keep in mind too, the Summit edition will still take over $50,000 out of your wallet, so this is basically the most expensive, off-road capable Grand Cherokee money can buy. 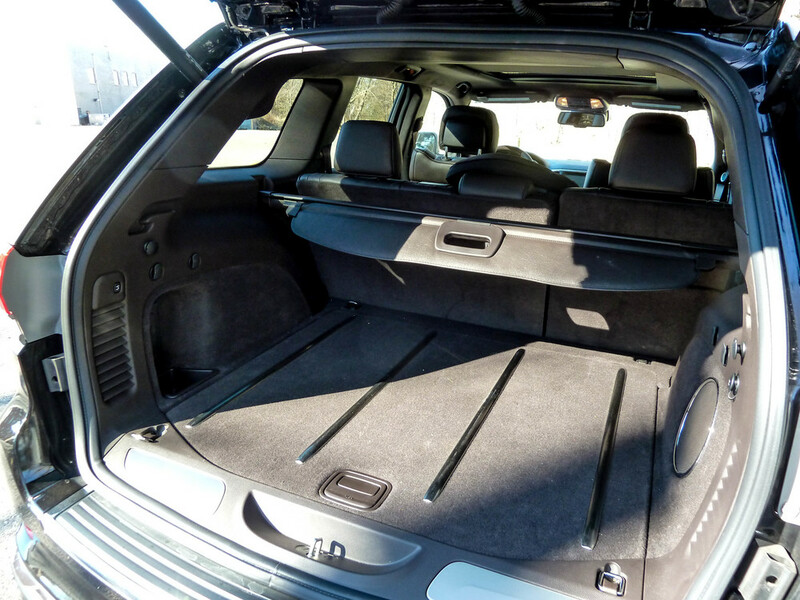 For me, this was the most amazing part of this SUV. I've owned a number of Jeeps and found the experiences to be adequate and even entertaining with what the factory settled on. 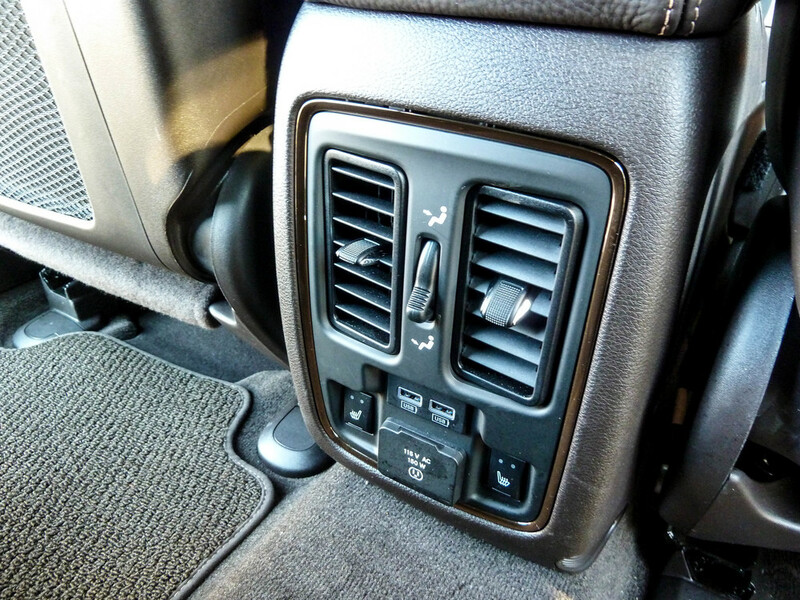 The interiors of past Jeep products was never the main reason to own one though. The Summit edition is a game changer. Jeep has decided not to play games and go all out starting in 2014. 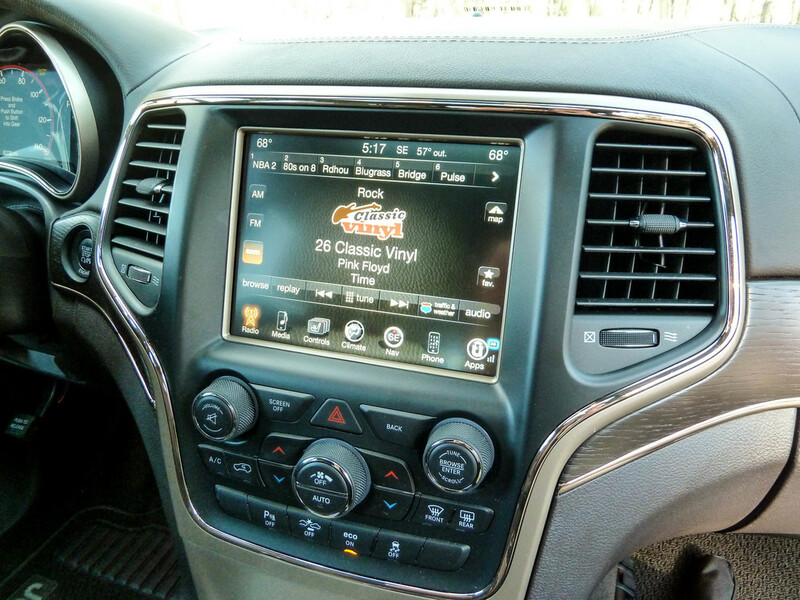 The glaring feature is the 8.4" UConnect touchscreen system. The entire dashboard is basically built around this massive screen that controls almost every comfort and entertainment aspect of the Jeep. 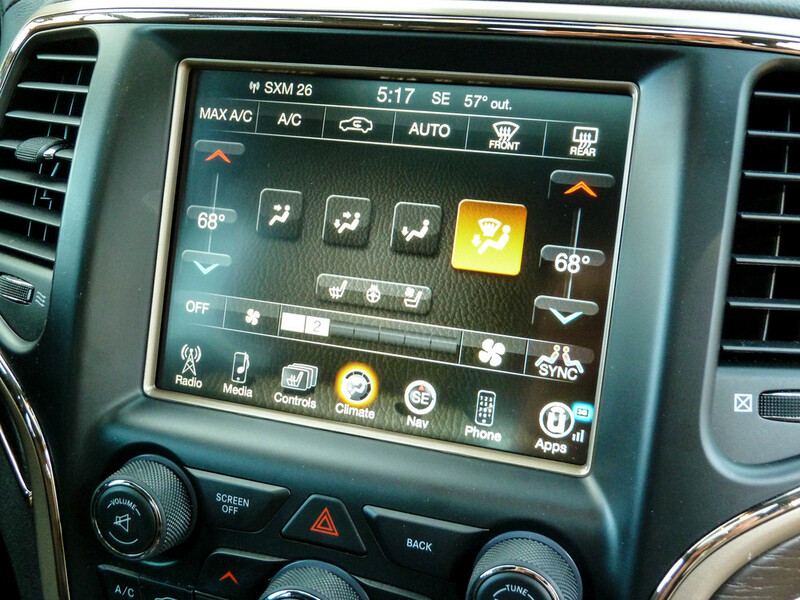 You can control the audio, heating/cooling, seat heating/cooling, navigation, your phone, and numerous other features. The system is tied into 19 high quality Harmon/Kardon surround sound speakers which really deliver theater like sound. Looking up, we see suede trimmed pillars and a suede headliner that all surround the massive CommandView sunroof. The interior is also treated to a fully customizable 7" digital gauge package which looks amazing. You can view what your suspension is doing in an off-road setting with a slick looking 3D picture or monitor your mpg's while driving down the highway. Little touches seem to be everywhere from the rechargeable flashlight built-in to the cargo area to the illuminated cup holders up front. Jeep has taken the Grand Cherokee to Land Rover like levels with the Summit package. Open Pore wood trim and stitching that seems to be visible everywhere make this vehicle feel world class. When sitting inside, you really get the feeling your $50k wasn't wasted. The Jeep Grand Cherokee really retains that off-road stance it has had for years, but at the same time you can tell it has some mall parking lot manners. The LED surrounded bi-xenon HID headlights give the front end a more grown up look. Those headlights are adaptive too, which means they basically follow the steering wheel around turns and curves. Neat stuff when you consider you are buying a vehicle that almost didn't exist a few years ago. The Grand Cherokee really does look the part now of being the top of the line model Jeep is offering. They have tightened up all the body gaps, the paint looks well done, and the doors all close with that solid thunk sound you didn't used to get on a Jeep. As we've said with all of our reviews, the world of automobiles has taken a massive turn towards the positive. Manufacturers seem to understand that customers are demanding quality and luxury features. The Grand Cherokee has been refined over and over, but this is clearly the best one yet. When you think Jeep, most people will go back to that old black and white footage of General Patton sitting in a Willys. Some people will think back to riding around in a Grand Wagoneer as a kid. Whatever Jeep you think of or remember, the fact remains the same that they are one of the most American car makers we have. Even though they are owned by Fiat now, these cars are some of the best that the US has to offer. 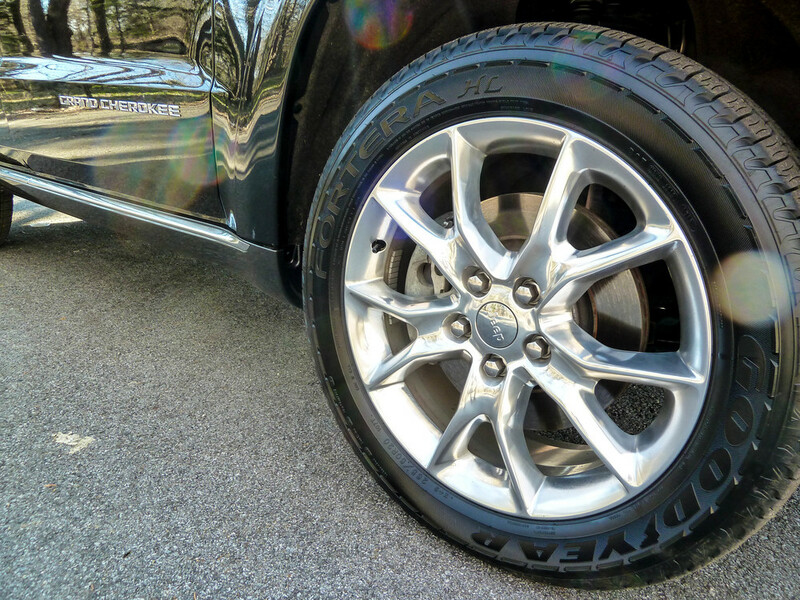 Chrysler and Jeep have turned it around in the past few years and the Summit Edition Grand Cherokee is proof. Most of these will never see anything other than pavement, and that is fine. The same story comes from Land Rover, BMW, Porsche and Volvo. These are all almost too nice to scratch and beat up on a trail. 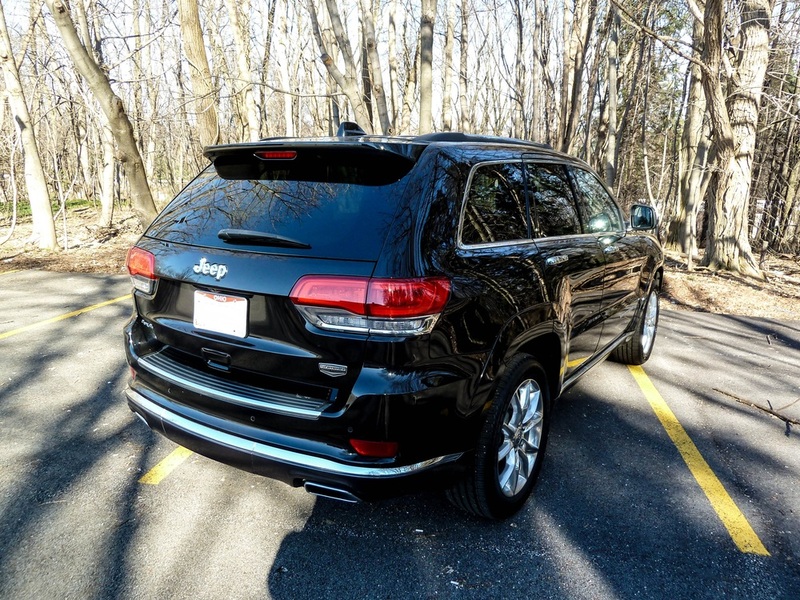 Nowadays though, when you come up with a list of luxury SUVs that are well built, have amazing features and also can off-road if necessary - You have to put the Jeep Grand Cherokee Summit near the top.